If you have a custom PCB design and you'd like to add a little Bluetooth Low Energy, this module is ultra compact and easy to use. 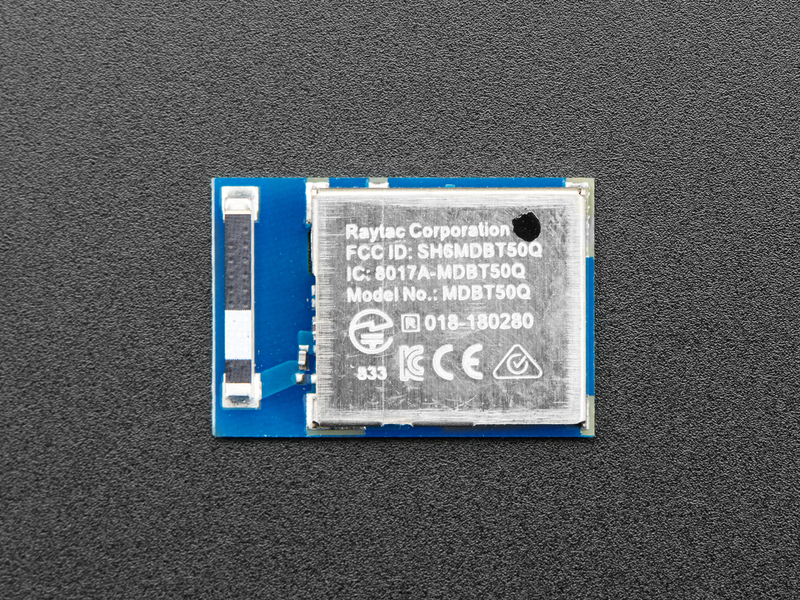 It contains a Nordic nRF52840 Cortex M4 chip that comes integrated with BLE radio, USB as well as most of the supporting circuitry and even a chip antenna. 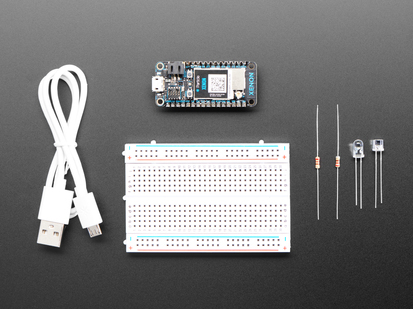 The whole thing is in a tin and comes with FCC, CE and TELEC certifications. This chip is quite a beast, with a ton of FLASH, SRAM, peripherals and best of all ... native USB support! No need for an external USB-serial converter chip. However, given that it uses under-pads instead of castellated pads, you cannot hand-solder it, you'll need a stencil and hot air or a reflow oven. 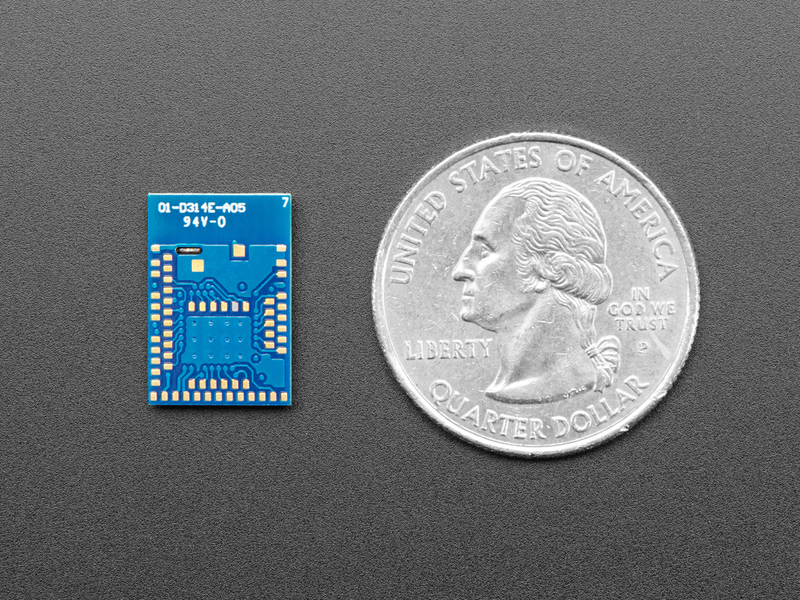 This is the same module we use for the Adafruit nRF52840 Feather so if you'd like to see a possible reference design for this module, check out the PCB files here! Of course the best way to program these chips is with the Nordic SDK. 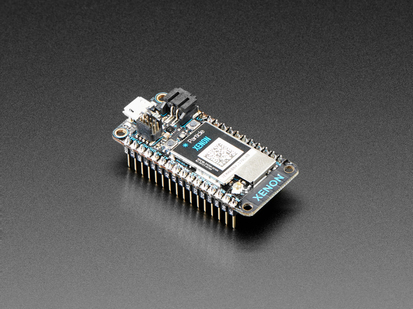 This chip also has some basic Arduino support, CircuitPython support, and is supported by MyNewt. Either way you go (SDK/CircuitPython/Arduino) you'll still need to solder this onto a PCB and load code via a SWD programmer. Product Dimensions: 15.5mm x 10.5mm x 2.1mm / 0.6" x 0.4" x 0.1"